If you’re looking for potential last minute travel hints for the coming holidays, then look no further than Lonely Planet’s Best in Travel 2018 Best Value list. They have traversed the world to come up with these handy suggestions for those on a budget. So, let’s investigate the Lonelyplanet.com suggestions for those planning their last minute vacations for any upcoming holidays. Speak to your nearest ATAS accredited travel agent, and get the ball rolling asap, so you can secure the best flight and accommodation deals for your holidays now and beyond. The key is the sooner the better, so don’t delay and establish your plans today for the upcoming holiday period, before 2017 ends! Over the past decade, the in-the-know independent travellers are increasingly heading to Lanzarote. Awaiting them is a well-developed infrastructure that makes it easy to find affordable lodgings, food and car rental. There’s plenty of no-nonsense holiday fun, but Lanzarote also revels in its uniqueness. The moon-like scenery of Parque Nacional de Timanfaya, unspoilt beaches of Órzola and black-sand wineries of La Geria reward those who come here for more than a traditional seaside break. In one small package you can explore César Manrique’s artistic and architectural footprint, follow stunning hiking trails, and enjoy unexpected and jaw-dropping views along many drives around Lanzarote. Spectacularly situated at 3660m, La Paz is one of South America’s best value places to linger, whether you’re keen on acclimatising, learning Spanish or simply enjoying the colourful street life and Andean setting. Budget-conscious travellers can get by on less than US$30 a day, eating at unforgettable markets and taking hiking and biking trips. La Paz also has a fast-emerging yet affordable upscale scene, epitomised by superb dining at places such as Gustu, founded by Noma’s Claus Meyer. Boutique hotels and hip coffee joints are popping up too, all at lower prices than their equivalents elsewhere. Move fast: La Paz is on the rise. Reach La Paz’s El Alto International Airport – the world’s highest, at 4061m – by flights from Miami and Washington DC. Poland somehow manages to remain affordable and relatively under-visited. Sure, Kraków grabs the crowds, but you can explore here for less than in Prague or Berlin. Beyond Kraków is a roll-call of Europe’s least-appreciated highlights. In the north, explore Gdańsk’s rebuilt old town and haunting coastal scenery. Elsewhere, Lublin, Toruń and Tarnów's historical beauty (free from large numbers of visitors) can form the basis of a wonderful week. If you have more time, consider exploring the mountain playground around budget-friendly Zakopane or bison-spotting in Białowieża National Park. Inexpensive train and bus connections, keenly priced food and beer, plus budget places to stay complete the picture. It’s the world’s second-longest peninsula; but for many, visiting Baja California still means a quick hop over the border into Tijuana or Tecate – meaning there’s 1200km of less-explored territory. True, prices can be higher here than in other parts of Mexico due to the relative remoteness of Baja. But if you’re coming from the US, you’ll be saving money by travelling here. In the north, the wine route through the Valle de Guadalupe is like Napa but a lot cheaper. Meanwhile, towns such as Todos Santos, Loreto, San Ignacio, Mulegé and La Paz are authentically Mexican and feature great-value accommodation. Jax, as locals call it, hasn’t drawn international praise like other destinations in Florida – despite 35km of beaches, surfing, art and live music. There are long stretches of the St Johns River, the Intracoastal Waterway and America’s largest urban park system to explore on foot, by bike or, best of all, on a guided kayak tour. Barbecue joints and beachside cafes offer good-value and family-friendly dining, while a pint of craft beer at one of eight local breweries can be priced as low as $3.50. Not only is Jacksonville affordable for sleeping (with the lowest hotel rates in the state), but you can feel as if you’re discovering somewhere new. 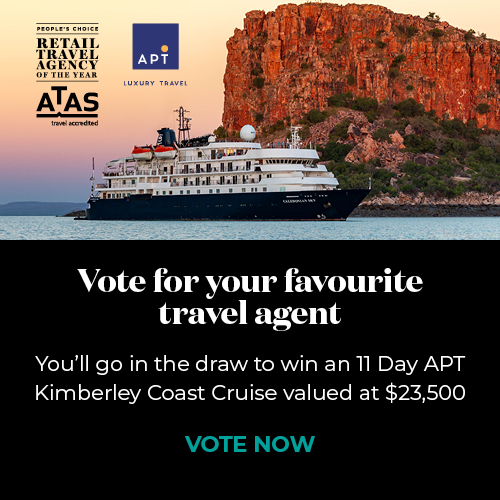 Visit your local accredited travel agent via the ATAS directory, to start setting your holiday plans now. The closer you leave setting travel, the less choices and options you'll have available, particularly at busy travel times whether that’s flights, accommodation, activities or hire cars. Explore these 10 destination suggestions with your travel agent and see if they can tailor a package to suit your last minute travel needs. Set the wheels in motion to plan your holidays now for the New Year ahead. Or for other travel hints check out our weekend getaways blog, and source an accredited travel agent to plan your travel arrangements, via the ATAS directory. Get in now to secure your preferences!